Latvia's economy has had rapid GDP growth of more than 10% per year during 2006–07, but entered a severe recession in 2009 as a result of an unsustainable current account deficit, collapse of the real estate market, and large debt exposure amid the softening world economy. Triggered by the collapse of Parex Bank, the second largest bank, GDP decreased by almost 18% in 2009, and the European Union, the International Monetary Fund, and other international donors provided substantial financial assistance to Latvia as part of an agreement to defend the currency's peg to the euro in exchange for the government's commitment to stringent austerity measures. In 2011 Latvia achieved GDP growth by 5.5% and thus Latvia again was among the fastest growing economies in the European Union. The IMF/EU program successfully concluded in December 2011. Privatization is mostly complete, except for some of the large state-owned utilities. Export growth contributed to the economic recovery, however, the bulk of the country's economic activity is in the services sector. For centuries under Hanseatic and German influence and then during its inter-war independence, Latvia used its geographic location as an important East-West commercial and trading centre. Industry served local markets, while timber, paper and agricultural products were Latvia's main exports. Conversely, years in the Russian Empire and the Soviet Union tended to integrate Latvia's economy with their markets and also serve those countries' large internal industrial needs. After reestablishing its independence, Latvia proceeded with market-oriented reforms, albeit at a measured pace. Its freely traded currency, the lat, was introduced in 1993 and held steady, or appreciated, against major world currencies. Inflation was reduced from 958.6% in 1992 to 25% by 1995 and 1.4% by 2002. After contracting substantially between 1991–93, the economy steadied in late 1994, led by a recovery in light industry and a boom in commerce and finance. This recovery was interrupted twice, first by a banking crisis and the bankruptcy of Banka Baltija, Latvia's largest bank, in 1995 and second by a severe crisis in the financial system of neighbouring Russia in 1998. After 2000, Latvian GDP grew by 6–8% a year for 4 consecutive years. Latvia's state budget was balanced in 1997 but the 1998 Russian financial crisis resulted in large deficits, which were reduced from 4% of GDP in 1999 to 1.8% in 2003. These deficits were smaller than in most of the other countries joining the European Union in 2004. Until the middle of 2008, Latvia had the fastest developing economy in Europe. In 2003, GDP growth was 7.5% and inflation was 2.9%. The centrally planned system of the Soviet period was replaced with a structure based on free-market principles. In 2005, private sector share in GDP was 70%. Recovery in light industry and Riga's emergence as a regional financial and commercial centre offset shrinkage of the state-owned industrial sector and agriculture. The official unemployment figure was held steady in the 7%–10% range. The Financial Crisis of 2008 severely disrupted the Latvian economy, primarily as a result of the easy credit bubble that began building up during 2004. The bubble burst leading to a rapidly weakening economy, resulting in a budget, wage and unemployment crisis. Latvia had the worst economic performance in 2009, with annual growth rate averaging −18%. The Latvian economy entered a phase of fiscal contraction during the second half of 2008 after an extended period of credit-based speculation and unrealistic inflation of real estate values. The national account deficit for 2007, for example, represented more than 22% of the GDP for the year while inflation was running at 10%. By 2009 unemployment rose to 23% and was the highest in the EU. By August 2009, Latvia's GDP had fallen by 20% year on year, with Standard & Poor's predicting a further 16% contraction to come. The International Monetary Fund suggested a devaluation of Latvia's currency, but the European Union objected to this, on the grounds that the majority of Latvia's debt was denominated in foreign currencies. Financial economist Michael Hudson has advocated for redenominating foreign currency liabilities in Latvian lats before devaluing. However, by 2010 there were indications that Latvia's policy of internal devaluation was successful. The economic situation has since 2010 improved, and by 2012 Latvia was described as a success by IMF managing director Christine Lagarde showing strong growth forecasts. The Latvian economy grew by 5.5% in 2011 and by 5.6% in 2012 reaching the highest rate of growth in Europe. Unemployment, however, remains high, and GDP remains below the pre-crisis level. Privatisation in Latvia is almost complete. Virtually all of the previously state-owned small and medium companies have been privatized, leaving only a small number of politically sensitive large state companies. In particular, the country's main energy and utility company, Latvenergo remains state-owned and there are no plans to privatize it. The government also holds minority shares in Ventspils Nafta oil transit company and the country's main telecom company Lattelecom but it plans to relinquish its shares in the near future. Almost all of Latvian electricity is produced with Hydroelectricity. Biggest hydroelectric power stations are Pļaviņas Hydroelectric Power Station, Riga Hydroelectric Power Plant, Ķegums Hydroelectric Power Station. Latvia imports 100% of its natural gas from Russia. Packet of 20 cigarettes: On Average 3.30 – 4.50 EUR. ^ Before 2014: Latvian Lats. ^ a b c d e "Report for Selected Countries and Subjects". IMF.org. International Monetary Fund. Retrieved 19 January 2019. ^ a b c d e f g h i j k l m n o p "CIA World Factbook". CIA.gov. Central Intelligence Agency. Retrieved 19 January 2019. ^ "Ease of Doing Business in Latvia". Doingbusiness.org. Retrieved 2017-11-21. ^ "Export Partners of Latvia" (PDF). ^ "Import Partners of Latvia". CIA World Factbook. 2014. Retrieved 14 Jan 2015. ^ "Sovereigns rating list". Standard & Poor's. Retrieved 4 June 2014. ^ "Rating Action: Moody's upgrades Latvia's government bond ratings to A3; stable outlook". Moody's. 2015. Retrieved 27 Feb 2017. ^ "Fitch Affirms Latvia at 'A-'; Outlook Stable". Fitch. 2016. Retrieved 27 Feb 2017. ^ "Scope affirms Latvia's credit rating of A-, Outlook remains Stable". Scope Ratings. 2018. Retrieved 27 Apr 2018. ^ "Rankings – Doing Business – The World Bank Group". Doing Business. Retrieved 6 September 2012. ^ "GDP of Latvia increased by 5.5% in 2011". The Baltic Course. 9 March 2012. Retrieved 24 March 2012. ^ Damien, McGuinness (4 February 2010). "In Pictures: Latvia economy reels in recession". BBC. ^ "Latvia". CIA. Retrieved 15 December 2008. ^ "Robin Hood hacker exposes bankers". BBC News. 24 February 2010. Retrieved 1 May 2010. ^ Krugman, Paul (15 December 2008). 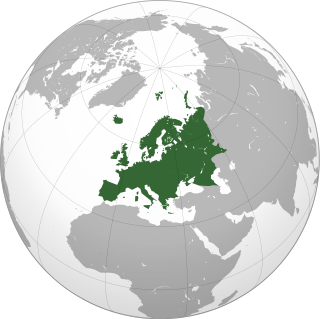 "European Crass Warfare". The New York Times. Retrieved 15 December 2008. ^ Evans-Pritchard, Ambrose (10 August 2009). "S&P downgrades Baltic states' debt ratings". The Daily Telegraph. London. Retrieved 1 May 2010. ^ "Par aptuveni 250 miljoniem eiro būvēs Latvijā lielāko vēja parku". www.lsm.lv (in Latvian). Retrieved 2018-12-22. European Commission's DG ECFIN's country page on Latvia. Economic development in Nepal has been complicated and affected by the constant change in political scenarios which has ranged from monarchy to being ruled by the Communist party in 2019. An isolated, agrarian society until the mid-20th century, Nepal entered the modern era in 1951 without schools, hospitals, roads, telecommunications, electric power, industry, or civil service. The country has, however, made progress toward sustainable economic growth since the 1950s and opened the country to economic liberalization leading to economic growth and improvement in living standards than compared to the past. The biggest challenges faced by the country in achieving higher economic development are the frequent changes in political leadership as well as corruption.